The average wedding can take more than 250 hours to plan. With today’s busy lifestyles, it can be overwhelming for the bride-to-be to find the extra hours needed to research and plan the perfect wedding. My Wed in Italy is here to take the pressure and anxiety out of your wedding planning and make sure you enjoy a flawless wedding day. We provide a complete range of services from which to select the amount of help that is right for you. 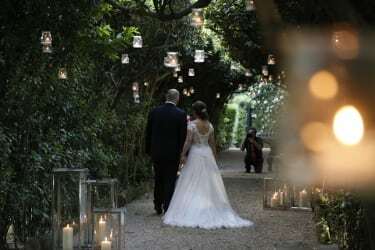 My Wed in Italy will help you find a unique venue where you and your guests can celebrate your wedding and relax together, so as to make this once-in-a-lifetime occasion even more memorable. 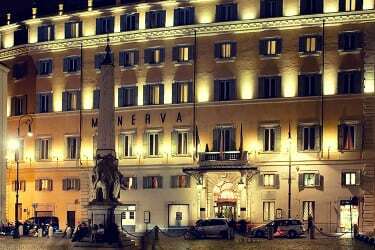 Thanks to an intimate local knowledge, over the years My Wed in Italy has carefully selected a wide range of accommodation options suitable for weddings of any size and budget. Ask our experts and we will be delighted to recommend the best solution for you: from luxury relais, castles, hotels, to charming B&Bs, villas and mansions all over Italy! The paperwork requirements for a wedding vary depending on the couple’s nationality. 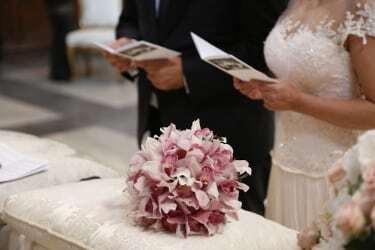 We have helped couples from all over the world through the bureaucracy required to get married in Italy, and so have the right experience to advise you on how to obtain the correct documentation in the right timeframes in order for your marriage to be legally recognized both in Italy and your home country. We will contact the relevant consulates, churches and registry offices to assist you in fulfilling the administrative requirements and prevent any setbacks. Getting married is a once-in-a-lifetime event, so My Wed in Italy likes to ensure that you look and feel perfect, making sure that the best hair stylists and make-up artists are at your complete disposal. 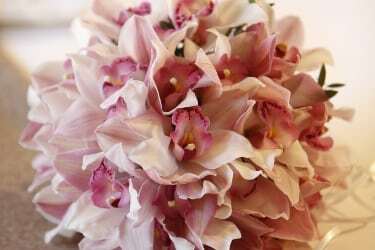 Bridal bouquets, boutonnieres and creative wedding flower arrangements to ensure that you, the venue and the day itself are full of color, style and positive energy! The arrangements available depend on a variety of factors: personal preference, the wedding theme and time of year – but with guidance from our expert team you will find the perfect combination for you! 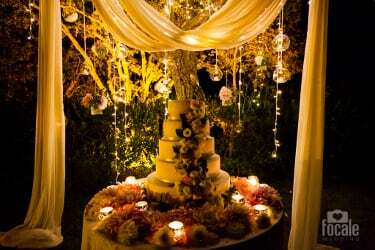 The wedding cake has a prominent place in the list of the most important things to set up on your wedding day! Our cake designers will work from your suggestions to prepare the perfect cake for you, from sumptuous American or British cakes to a typically Italian one! If you choose to have your wedding filmed professionally, you can record the special moments of one of the most important days of your life forever. Hiring an experienced Italian videographer means that every single detail of your wedding, from the emotions to the decorations, will be captured on film, preserved for you and your loved ones for years to come. 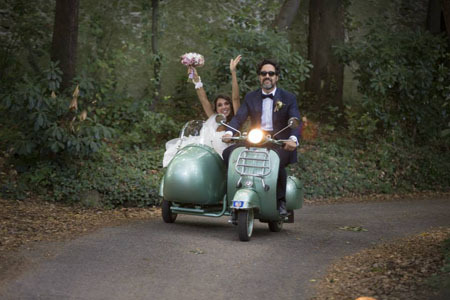 Contact our wedding planners for a list of the most talented Italian wedding videographers for your wedding. We have also built up a trusted portfolio of professional wedding photographers whose talent and expertise we can vouch for. Ask us for a sample of their work, in order to choose the style that fits you best! Photographs always provide the best memories! 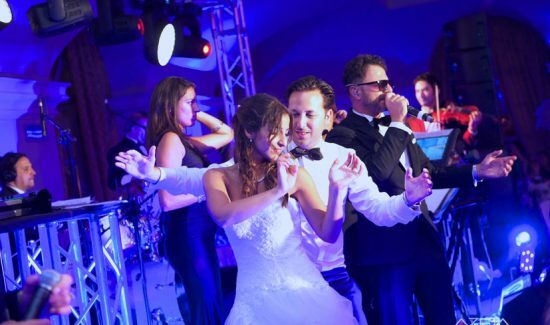 Music is the soundtrack to your wedding: it tends to add texture to the special moments of your day ̶ the bride’s entrance, the first dance, the cutting of the cake. 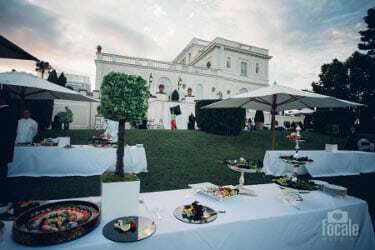 My Wed in Italy offers the best professionals to meet the needs of any age group and taste. Do you see yourself in a horse-drawn carriage? A lightning-white stretch limo? A Cadillac? A tandem bicycle? Whatever your choice, the bride can make a memorable entrance at the wedding thanks to our wide range of options. Choose a car transfer in keeping with your wedding style, such as a Cadillac, Rolls-Royce and Bentley, or a modern car such as a Ferrari, Mercedes or Maserati. Or you might prefer a carriage, a gondola, a motorboat, a helicopter, or even a classic Italian Vespa. My Wed in Italy can also arrange transportation for your bridesmaids and groomsmen, family and guests (minibuses, vans, etc…). To our mind, one of the best parts of celebrating your wedding in Italy is the opportunity to spend some quality time with your friends and families. Every city and region in Italy has its particular offering: cooking classes, food and wine tastings, guided tours, boat tours, open-air activities, children’s entertainment, vespa tours … and more!